Storage Concepts have recently completed mezzanine flooring and clean room partitioning for a company dealing with specialist composites in Cambridgeshire. Our client was looking to increase production space whilst remaining within an existing building. 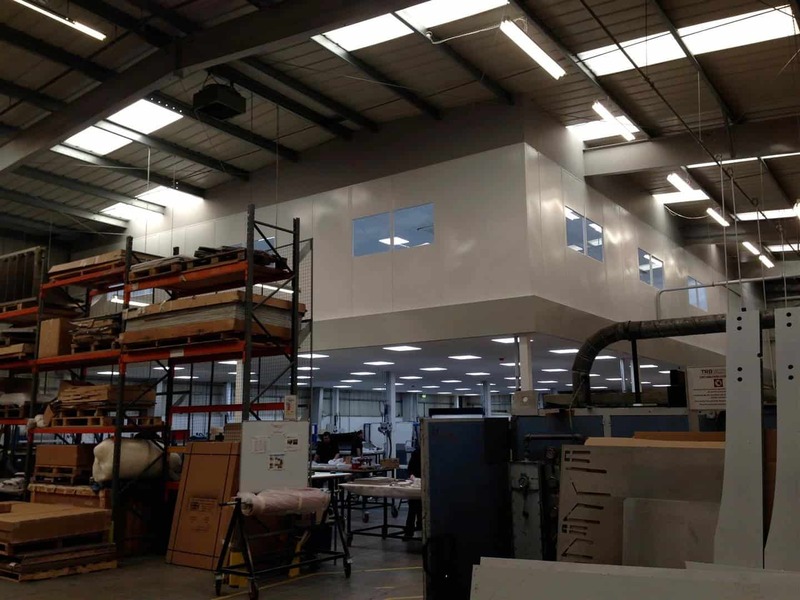 We were able to design, specify and install a mezzanine floor over the existing production area, with a double skin steel clean room enclosure above to provide detailed final production and clean room checking facilities. The installation was completed with the use of specialist flooring and a full M & E installation including LED lighting and air conditioning and fresh air ventilation systems.